Every now and then life gets overwhelming. That might be because of problems with health, money, or in the family. They might be so big they just consume all your life, or a lot of seemingly small things add up and weigh heavy on you. Both very likely cause on thing: anxiety. Anxiety is a tough thing to deal with. It sounds so easy: "Well, just put it aside and get the stuff done that causes the anxiety for you or take the measures to make it better". Unfortunately, anxiety paralyzes all too often and nothing is easy to "just do". You know you'd maybe just have to sit down and tick some thing soff your to do list, but pressure to perform or the to do list itself causes you enough anxiety to keep putting it off. It's a vicious cycle that's SO hard to escape. I do not have a solution for your anxiety causes or your anxiety itself, there is always hope. There is always a beam of light even in the darkest anxiety laden places, and even in a panic attack. 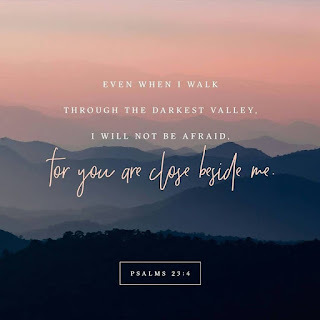 It could be a kind, unexpected word of encouragement, prayer, or certain worship songs that may not solve your anxiety, but at least give you strength to keep going and overcome that crippling, paralyzing fear. We are already saved and do not have any reason to let anxiety reign our lives. If you're suffering from anxiety, please know you are not alone. If you feel like it hinders you from living your life, don't hesitate to get professional help - there is NOGHTING wrong with that. And also please know that I feel you, I am with you, and so is God, the Lord. You are not alone. You can do this. Anxiety is not your destination. Freedom is. That is something to hold on to.